School changed this year for the majority of freshman at the USC School of Cinematic Arts. Driven, talented future media makers normally waited until their sophomore year to produce any major media through the program, but this year USC partnered with Ph.D. candidate Jeff Watson to produce Reality, an alternate reality game focused on media creation. Reality, which just completed its first season, is one part trading card game, one part media creation tool, and one part web portal. Three hundred unique cards, color-coded by type and designed to fit together, were handed out to students who unraveled a series of clues leading to the game’s secret campus headquarters or tucked away for discovery as the game progressed. As students discovered other students who were playing, they made “deals” by trading or pooling cards that led to collaborative projects and then published their work to Reality’s web portal so other students could rate and review the projects. Winning projects earned interesting rewards, like meeting industry professionals, for the creators. Nathan Maton: Hi Christy. I’ve been hearing about your latest project, AUTHENTIC IN ALL CAPS. Can you tell me what inspired you to make an audio drama? Christy Dena: The web audio navigation format of AUTHENTIC IN ALL CAPS was inspired by a visit to the Louvre in 2007. I actually did something at the Louvre that some would consider criminal. I did the Da Vinci Code audio tour of the Louvre. But it was an amazing experience. It started before I entered the turnstiles. The narrator instructed me to secure my headphones, and then guided me past the security and through an alternate path through the Louvre. I was the only one in an elevator, riding around the venue following the conspiracy drama that was unfolding under my steps. The audio tour took me to all of the key exhibits of the Louvre, but with a great narrator, story and sound effects. I felt I was privy to another world that added an extra dimension to the already outstanding experience of the Louvre. I walked out of the Louvre, reflecting on the ease with which I was guided through the venue, how I knew so much about the artworks, and was also emotionally engaged with a story layer. I suddenly thought, why can’t I have this for the web? Why can’t I have audio tours of the web? I immediately thought of ARGs, and how the audio characters could guide players to read the source code of webpages. This seemed a fun way to make ARGs more accessible and also an interesting design challenge. And that is how the idea for AUTHENTIC IN ALL CAPS being a cross between a radio drama and Google search! 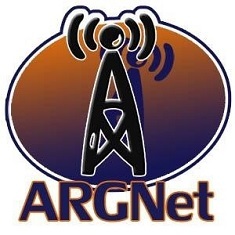 It’s the 10th anniversary of ARGFest-o-Con August 18th-21st in Bloomington, Indiana. Perhaps this seems inconsequential to you. Perhaps, you forget that 10 years ago an interactive experience called The Beast shook people’s lives more than any church mass ever has. So, chew on this: what once seemed crazy is now a definitive part of the future of interactive media. Today everyone from across the entertainment and media industries now lines up to imagine how an alternate reality game or transmedia storytelling strategies could be used to help market their products or shake their communities into action. In the music business right now, it’s the Lady Gaga ARG, while video games generate buzz through ARGs as with Valve 2’s ARG, and ARGs are used to support reality TV. Earlier this year, Fourth Wall Studios received a $15-million investment to bring together some of the most renowned ARG designers in one studio. They’re preparing to tempt the ever-growing audience for some of the latest and greatest blockbuster films on the horizon. Not sure if ARGFest is for you? In the words of ARGFest’s primary organizer, Jonathan Waite, are you “ready to take part in a unique, perhaps life-altering experience”? Do you have “an open mind and a curiosity about how gaming can go beyond traditional media”? Then by all means, catch the early bird discount (promotion ends today!) and get yourself a ticket to ARGFest. Last week, cryptic print advertisements started to appear pointing readers to the TestSubjectsNeeded.com website. In last week’s issue of the comic Flashpoint, morse code led the way. In the Seattle Weekly newspaper, it was a QR Code. Both paths lead to a psychedelic movie introducing the viewer to the Human Preservation Project and then goes through an interactive experience asking the users to react to a few prompts around their five senses. Users who complete the interaction and register get a user id badge, which to date has no known purpose. Some television viewers have noticed the TestSubjectsNeeded.com url flashing during commercials for 5 Gum, so it appears as though Wrigley is involved in this Human Preservation Project. Players have also confirmed 42 Entertainment’s involvement in the campaign by analyzing the website’s .swf file and locating the placement listing for the Seattle Weekly QR code. Despite the lack of content, news of the project and 42 Entertainment’s involvement has generated interest on MovieViral and the Unfiction forums. Is that enough to get you excited as well? If so, check out the website testsubjectsneeded.com. Let us know if you know anything more about the campaign. An old man stands behind a bar. Half butler, half mad scientist, he sports a three-piece gray suit, an all-knowing smile, and the frayed messy grey hair of an aging genius. He withdraws a deck of cards labeled with simplistic circles and lines, slowly shuffling the deck before placing a handful of cards in front of a patron at the bar going through a turning point in their life. Every time he touches a card, the card’s face is replaced by a glimpse into one of the patron’s many potential futures. Welcome to the signature scene from Bar Karma, a science fiction themed television show on Current TV. This past Friday, Bar Karma ended its first season. The show features characters from different times and places as they unknowingly enter a bar outside time and space when they have a tough decision to make. The show repeatedly asks questions about fate and free will as the barkeep and his small but attractive staff attempts to help each new character while protecting their renegade consultation shop from a mysterious evil entity. Each episode’s narrative is created in part by an active portion of the Bar Karma audience that proposes and votes for plots.